If you have been around here awhile, you probably remember when my post about Charlie’s hemangioma went viral. In fact, that may be how you found me. That post generated buzz that quickly spread around the world. Charlie was seen on The Today Show, Inside Edition, Fox News, Good Morning America, and featured in Cosmopolitan, Redbook, Good Housekeeping, Yahoo!, The Huffington Post, and many other news platforms. Very quickly, I was met with a range of reactions. (I wrote about that in more detail here.) However, the most amazing part was being connected to literally hundreds of other hemangioma parents around the world. I received emails from moms and dads in many different countries in many different languages. I was encouraged by adults who had a hemangioma as a child. The experience was a wild ride, but I am so thankful that even a few other people were assured through my writing that they were not alone. Here are some screenshots of some of the most touching emails I have received. Needless to say, I have also had an array of questions over the last year. I still get several messages weekly via social media and my blog. Naturally, people have fallen in love with Charlie and are curious about her progress. Not only that, but I have found that there is limited information out there on hemangiomas. 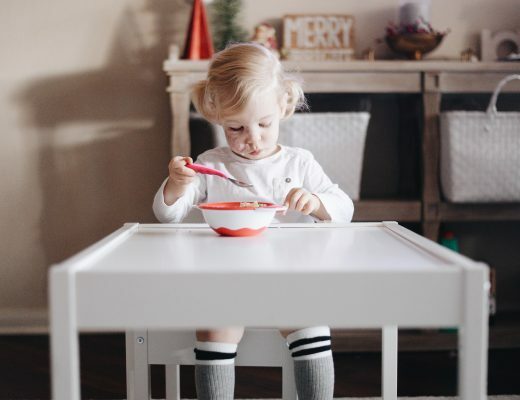 Therefore, many parents contact me looking for answers or guidance Since it’s been a year since I have written about it, I wanted to circle back and give an update along with some resources I have found along the way. 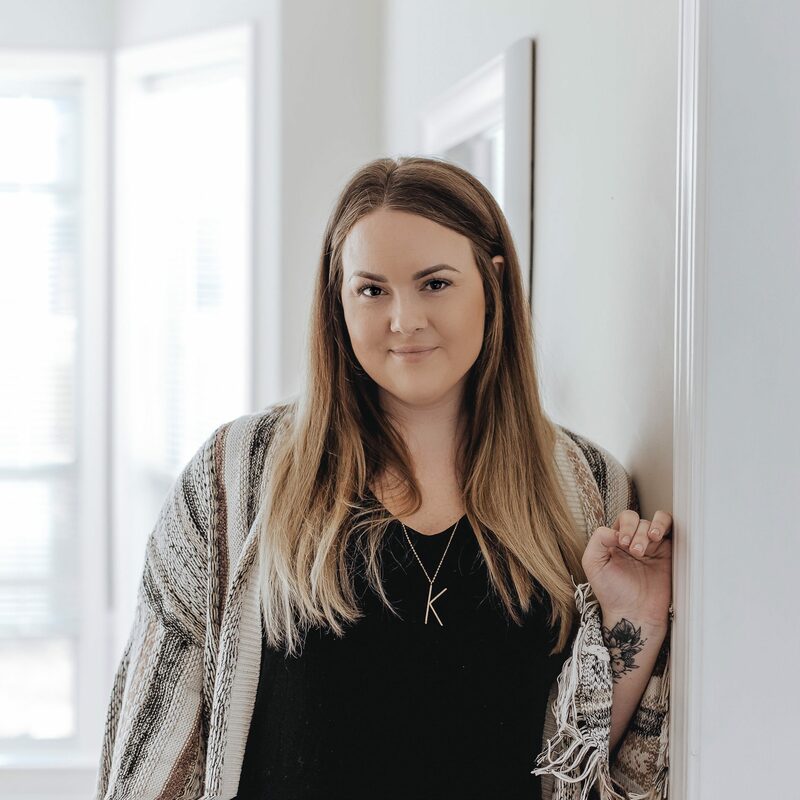 As a recap, Charlie was diagnosed as having an infantile hemangioma when she was a few weeks old. 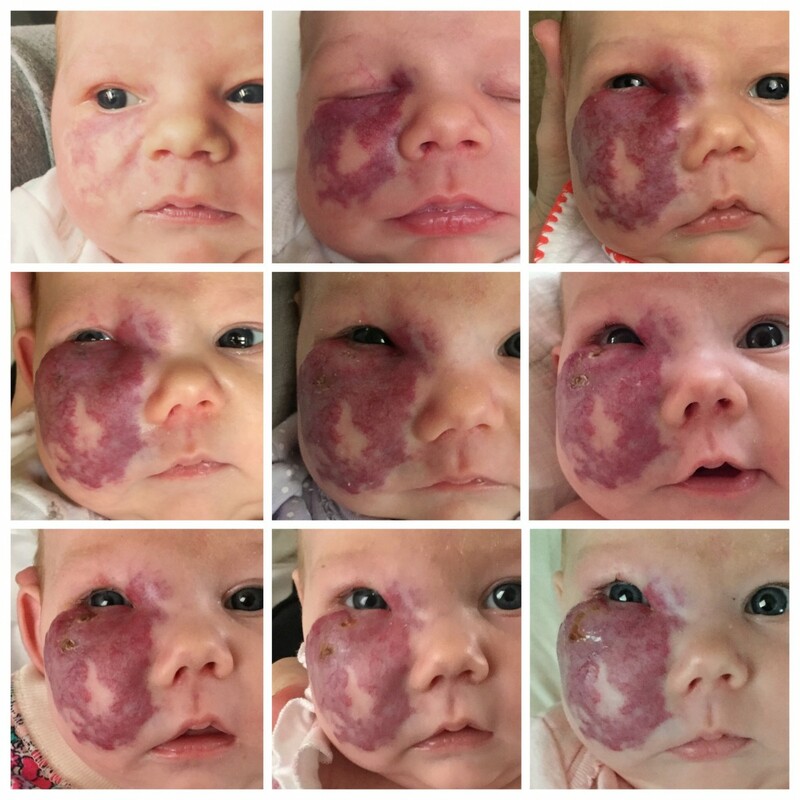 At six week, Charlie started propranolol, a beta blocker used to treat hemangiomas. This kept the hemangioma from growing further and obstructing her vision or causing any kind of muscle damage. When she was about six months old, she got sick, so we held the medication (per orders). We noticed that the proliferation had stopped (meaning it had stopped growing on it’s own). The next phase a hemangioma will go through is involution. Unlike some other vascular birthmarks, infantile hemangiomas will inevitably “reabsorb” into the body and fade away over time. At that point, we made the decision to hold the medication indefinitely and allow her body to continue the process. It’s so remarkable the changes that have been made. I see her every day, so I forget how much it’s faded until someone comments on it. Charlie is 18 months now, and her cheek continues to get lighter and softer. We still get remarks, we still get questions, and we still hear opinions, but it’s all part of her story. She’s still a beautiful, dynamic little girl, and we have zero regrets about how we have handled anything that has come with her unique face. If you are a hemangioma parent, I can’t recommend the Hemangioma Parents Group on Facebook enough! Researching journals and case studies are great, but anecdotal evidence is invaluable. I love comparing stories and gaining support from other parents there. Dr. Linda from the Vascular Birthmarks Foundation is also active in that group and available for further resources and guidance. Remember that no two hemangiomas are the same, treatment recommendations could vary wildly, and you know what’s best for your child. The unknown can be frightening, but I encourage you to look for the positive, and never believe your child to be anything less than perfect. Oh Charlie, you gorgeous girl. 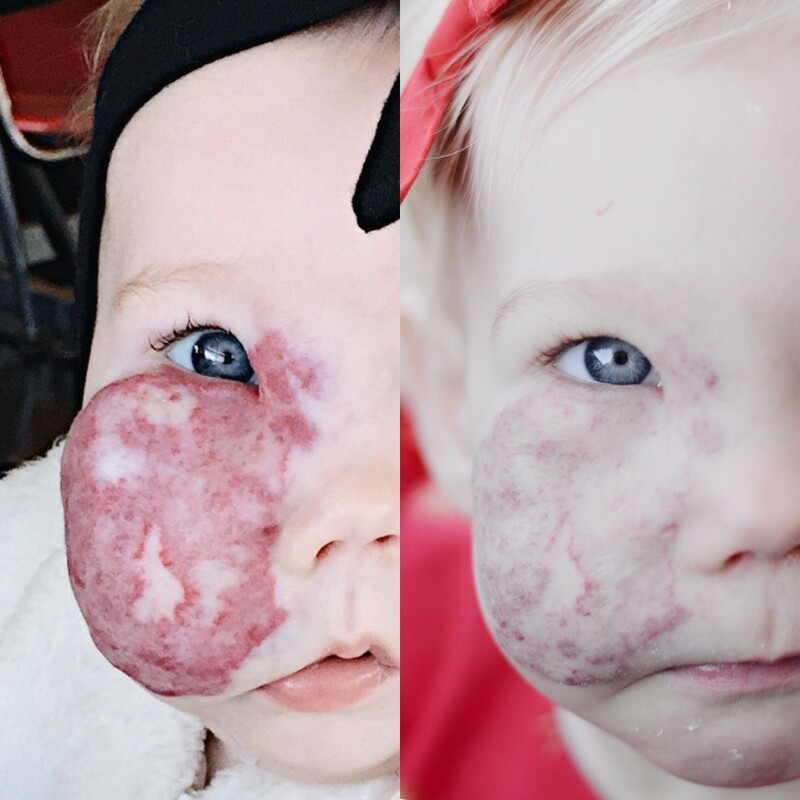 It’s so interesting to see how hemangiomas change. Emily’s is behind her ear and was the size of a muffin. Now (at almost 4) it’s down to the size of a quarter and almost completely flat. She loves her special mark but it might not be around forever. Mine disappeared by 2. I didn’t find your blog through the article but I related as my son has five hemangiomas, including one that made his ear stick straight out. Because we were concerned about the ear flipping over and blocking his canal leading to hearing loss and increased infections we also started proponol. It’s not for the faint of heart! The timing of doses, the monitoring of blood pressure…not easy! After six months on the drug we noticed a slowing of shrinking so we also stopped it. My son is 16 months old and still gets comments but I just have learned to roll with it. I think Charlie is a gorgeous girl and love her eyes especially. Thank you for being so open about talking about it. It helps bring awareness so when people ask about my son they already know it’s something that is normal. What a beautiful girl she is and so lucky to have such an amazing momma. How fortunate for all those other people you decided to share your/her story. 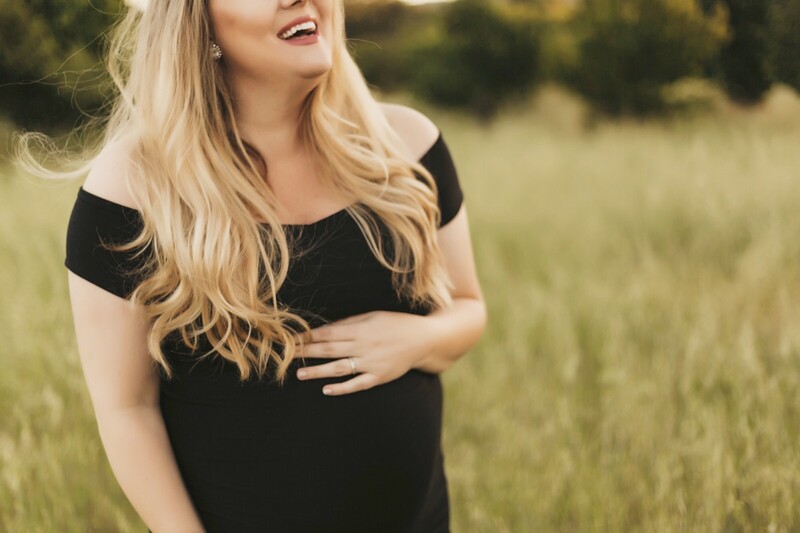 Katie loved this informative post & seeing your sweet baby girl’s face! Thank you for sharing all of this and being an advocate! I was born with a strawberry hemangioma about the size of a quarter on my cheek. As an infant and child it stuck out and was red and as I have aged it has flattened and faded. The circle is still there but it is flesh colored. I am 44 and happily married with 3 children who never noticed it (I pointed it out to them a while back). My parents never made a big deal either way, it was just part of me. Because of their attitudes I never developed any worries about it, it was there and that was that. As an adult when I see parents of children with hemangiomas I introduce myself and show them mine, hopefully it helps to releave worries. Charlie you are beautiful and Katie, you and your husband are doing great! Remember. …it’s where t h e Angels kissed her and claimed “she’s done”….all yours to hold and love. Now, we all get to love her too !!! My local news site just posted the article about your earlier post about Charlie. When I saw her picture, I fell in love with her deep blue eyes. My son’s eyes changed from blue to green, which bummed me out. Hope she keeps that gorgeous color as she grows up. I just recently came across your instagram page and then to here, your blog. What caught my attention was your beautiful baby girl. My daughter Sadie is now 2 months old and she to has a hemangioma, on her forehead between her eyebrows. We have a dermetologist appointment 1 week from today. Im so in love with that cute little face I no longer see it but have been hesitant about posting pictures because of the comments I might get. Thank you and your Charlie for giving inspiration to those of us who are new to life with a hemangioma. I will be posting a lot more pictures of my sweet Sadie now. I was surprised when I saw a picture of Charlie on social media. I was surprised, because I was born with an almost identical hemangioma. When I was in Charlie age, I looked literally the same! Now I am almost 30 years old and it still happens – like in your first post – that someone asks me to show a better half of my face. Such situations can be difficult. I wish you both a lot of happiness and self-confidence! Halo , I have a friend which his son has a very big hemangioma , this boy is 18 years old now. Is that any cure (medication or surgery / treatment) to make this hemangioma smaller or removed.